The new year came early to 1776 last night. 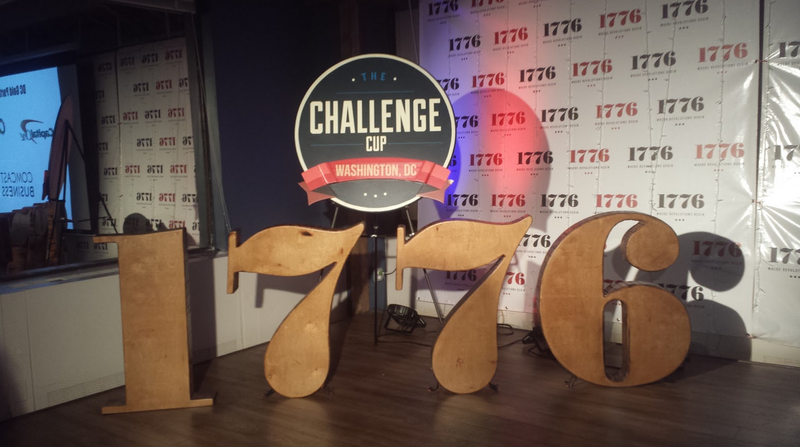 The D.C. incubator – which launched in February 2013 – hosted the first regional pitch of its 2015 Challenge Cup. Founders from four categories – health, education, energy, and cities – competed to represent D.C. at the Challenge Festival in May 2015. After a series of 60-second pitches, judges invited two finalists per category to pitch for five minutes before taking audience questions. In the end, four startups – one per category – will represent the District at the Festival: Edbacker, a crowdfunder for educators; BaseTrace, which provides DNA-based tracers that track industrial fluid leaks; 1EQ, the first mobile clinical pregnancy monitor; and Local Roots Farms, a year-round urban indoor farming system. They’ll face tough competition when they return to the 1776 stage next May. By then, they’ll be competing against 60 other startups from cities across six continents. At last night’s event, 1776’s Donna Harris said it was the last time she and co-founder Evan Burfield would be in the same room for some time. Over the next six months, she and Burfield will split Challenge Cup’s 15 regional pitches between them. Their travels will take them to Amman, Tel Aviv, Santiago, to name a few. Four winners from each city will compete at the May 2015 Challenge Festival to pitch investors, meet potential mentors, compete for funding, and more. Those looking for the next Pinterest are out of luck – 1776 incubates startups that disrupt industries most renowned for their red tape. For startups that work in health, education, energy, and cities, Harris and Burfield believe that D.C. roots are a must. “If you look within a 10 mile radius of 1776, you have an incredible depth of expertise in these industries – from the policy makers that set the rules to the corporations, labs, associations, and think tanks that are chock full of experts and potential customers,” Harris told The Next Web. 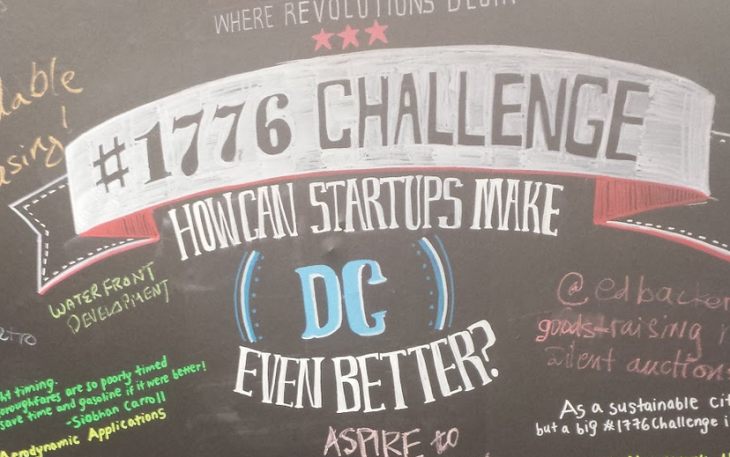 Named after the year that the US gained independence, 1776 wants to be the place “where revolutions happen” – and global enterprise networks are born. It’s no coincidence that the regional competitions are global, but the Festival begins and ends in D.C.
Burfield and Harris aim to create a global ecosystem for disruptive startups across these four industries. 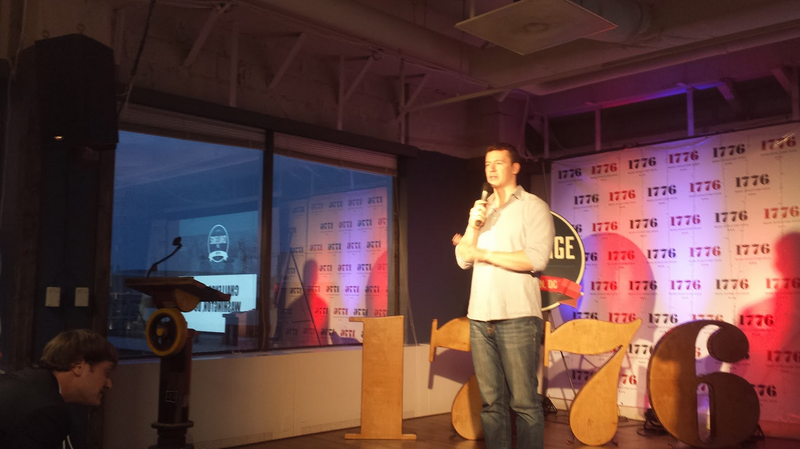 1776 has worked with more than 250 startups to date – and last night’s packed venue, which hosted guests including D.C. mayor Vincent Gray, suggests that 1776’s initial $200,000 grant from D.C. economic development officials is being put to good use. Addressing the audience last night, Mayor Gray said that two years ago, a similar event in D.C. would have been impossible. He laughed when he said that he hopes Silicon Valley will soon say that they “want to be the Washington, D.C., of the West Coast” – but with 1776 on a roll, and companies like Microsoft expanding locally, the District is a startup space to watch. For Challenge Festival participants, the stakes are high. Challenge Cup regional winners can earn all-expenses attendance at industry conferences including The National Alliance for Public Charter Schools and The American Council on Education. Regional winners from outside D.C. will earn a one-week, fully funded trip to D.C. for the Festival. And the overall Festival winner will earn a $150,000 investment from 1776, which is structured as a convertible note. “Out of the contacts made, we had companies [last year] secure major rounds of financing, significant corporate partnerships, media coverage in places like CNN, BBC, and CBS Evening News, and the counsel they needed to get on a trajectory for major growth,” says Harris. A full list of participating Challenge Festival cities can be found here. The next regional Challenge Cup kicks off in Chicago on October 29.